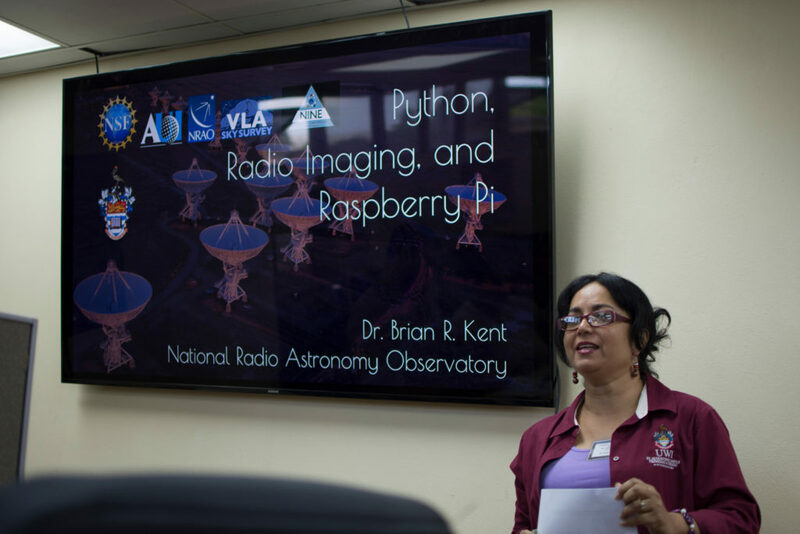 The NRAO NINE (National and International Non-traditional Exchange) program and Office of Diversity and Inclusion aim to train students and broaden participation via short programs in radio astronomy, data mining, and computing. 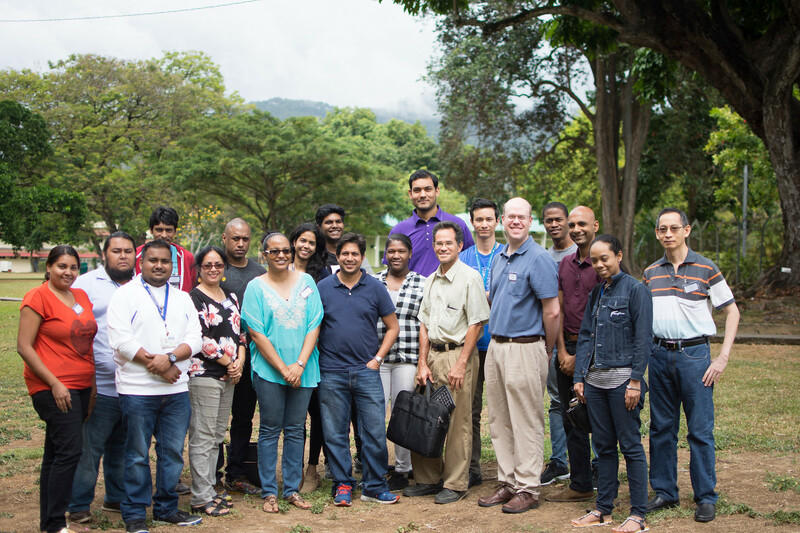 As an NRAO NINE Hub institution, the University of the West Indies at St. Augustine in Trinidad hosted two Astro-data workshops in January 2019. Students were given an overview of the NRAO and its historical significance to the field of radio astronomy. Then we spent the rest of our time learning how to use Python programming to mine astronomical data sources, from our facilities at ALMA and the VLA, including ongoing projects like the new VLA Sky Survey (VLASS: https://public.nrao.edu/vlass/). Students worked on data mining exercises by using small, single board computers called Raspberry Pi’s – a relatively easy and inexpensive tool to use to manipulate radio data and generate astronomical images. It was an intensive series of workshops! That we hope our student participants enjoyed! 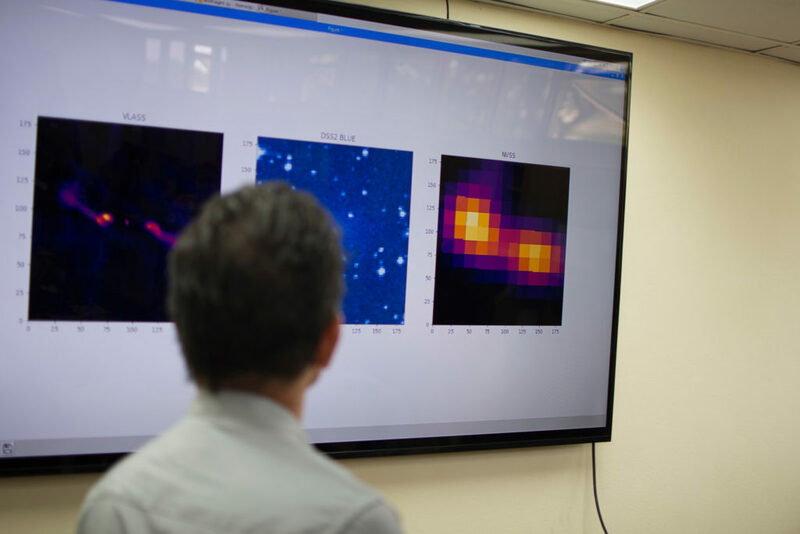 Participants create their first image composite using a Raspberry Pi, looking at VLA L-band data, optical survey data, and high-resolution VLASS imaging of a distant radio galaxy. Radio Galaxy Images students created using radio data from VLA Sky Survey. 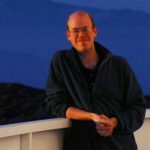 Brian Kent is a scientist working on data visualization and Joseph Masters is a Software Engineer.